Many years ago there was a candy store, In Chocolate, located in Delray Beach, Florida. 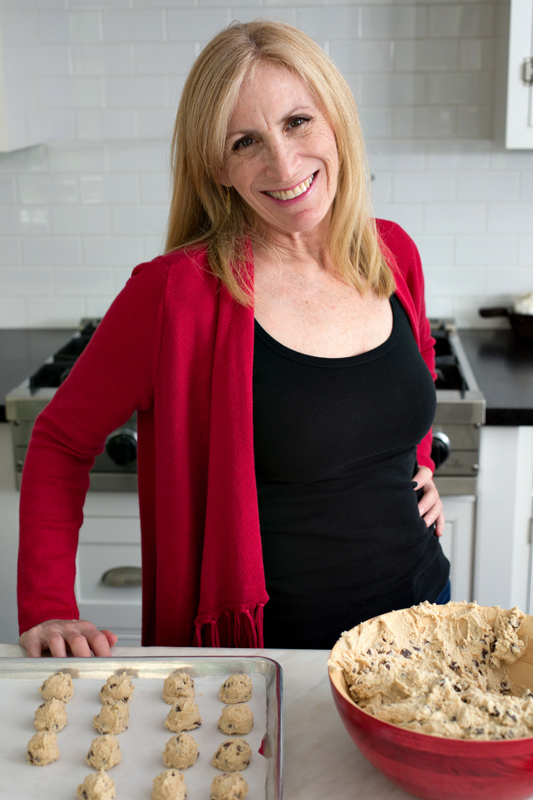 Owner Nancy Goldberg made the best dark covered Chocolate Covered Cornflakes. I used to drive down just to get a couple of her disc shaped delicacies. Fast forward approximately 15 years and I, still, dream of them. After, finally, accepting the fact that the store is permanently closed, I decided it was time to make my own Chocolate Covered Cornflakes. They could not be easier to make. 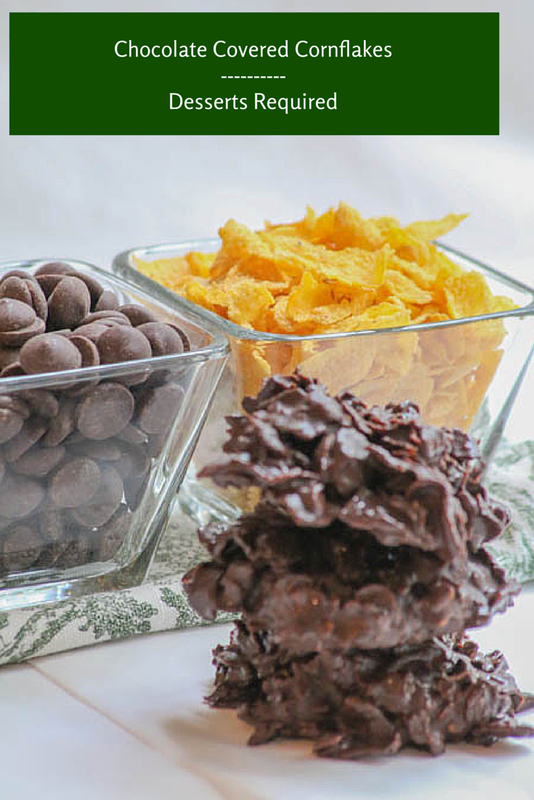 Melt your favorite chocolate and gently stir in cornflakes until they are, completely, covered. Scoop out the desired size disc and freeze until they are set. In terms of which kind of chocolate should be used, that boils down to personal taste. For me dark chocolate is, almost always, the winner. However, I know that Nancy used to make milk and white chocolate ones, as well. The key is not to melt the chocolate completely, thereby allowing it to temper to a beautiful shiny consistency. This means that the chocolate will get hot from melting and cooler when the chocolate that did not completely melt is blended into it. I’m happy with how my Chocolate Covered Cornflakes look without tempering with a thermometer. However, I highly recommend using one if you want to assure that your chocolate is shiny. 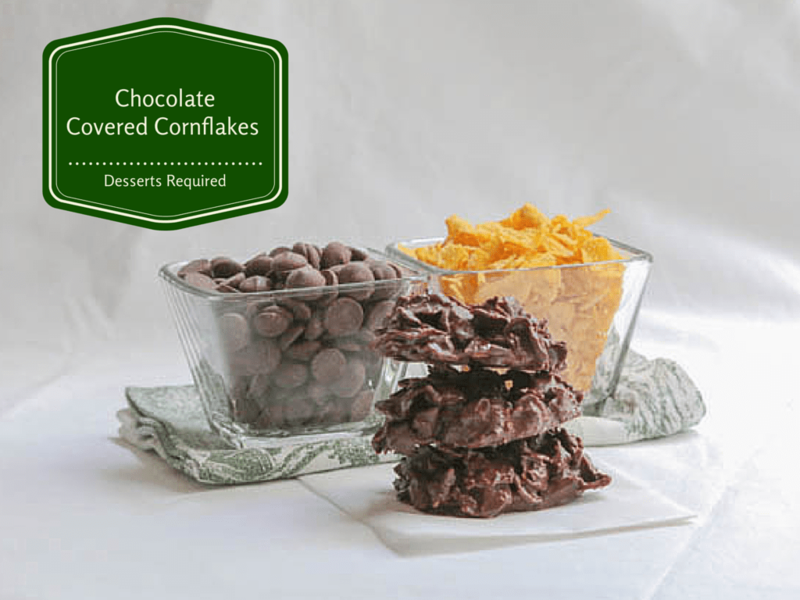 Whether or not you temper your chocolate, you have to make Chocolate Covered Cornflakes. They are the breakfast of champions…Desserts Required style and they are worthy of 15 year old dreams! Melt 20 ounces of the chocolate in the microwave just until most of it is melted. Stir until all of that chocolate is melted. Add the remaining 4 ounces of chocolate and stir until it is completely melted. Add the cornflakes. Stir to coat each and every cranny of the cornflakes. Scoop or spoon the Chocolate Covered Cornflakes onto the prepared pans. Place in the freezer to set. 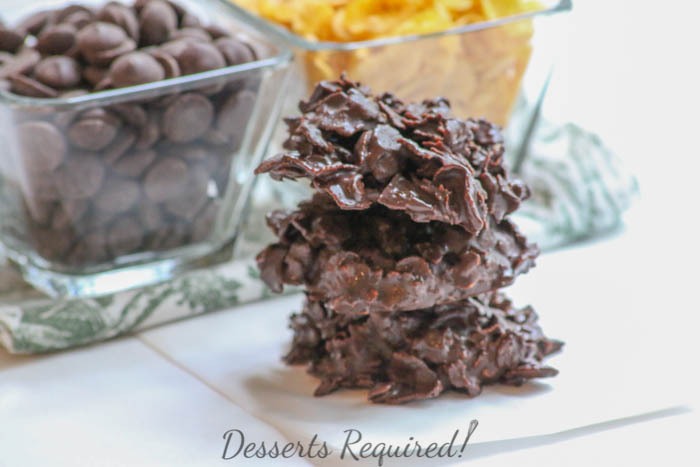 Additional time is needed for the Chocolate Covered Cornflakes to set. The number of Chocolate Covered Cornflakes will vary greatly depending on how large they are scooped or spooned onto the baking pans. I use a large cookie dough scoop which yields 11 Chocolate Covered Cornflakes. I thought you were a fruitcake when I read the title of the recipe. BUT I should have never doubted you. Thank you. It’s fun to think outside the box. i love this kind of stuff!!!! wonderful! Betsy, I can feel the chocolate, melty crunchiness in my mouth right now. Yummy. Getting hungry!! You crack me up…and just made me hungry!